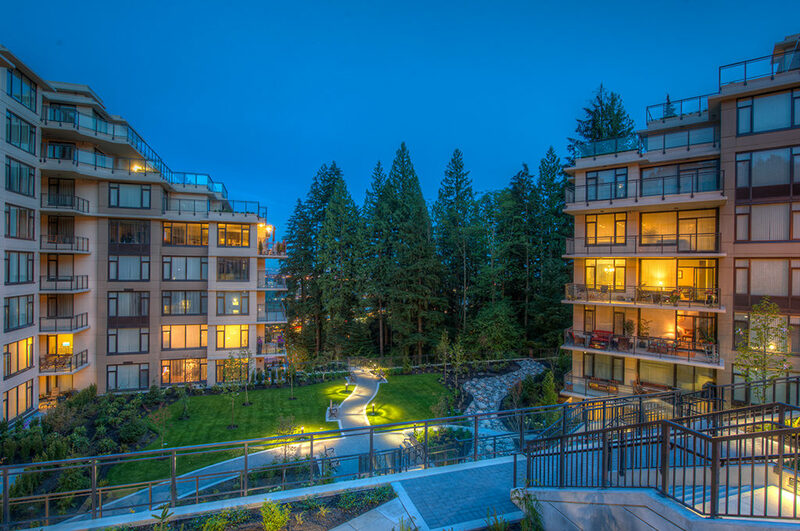 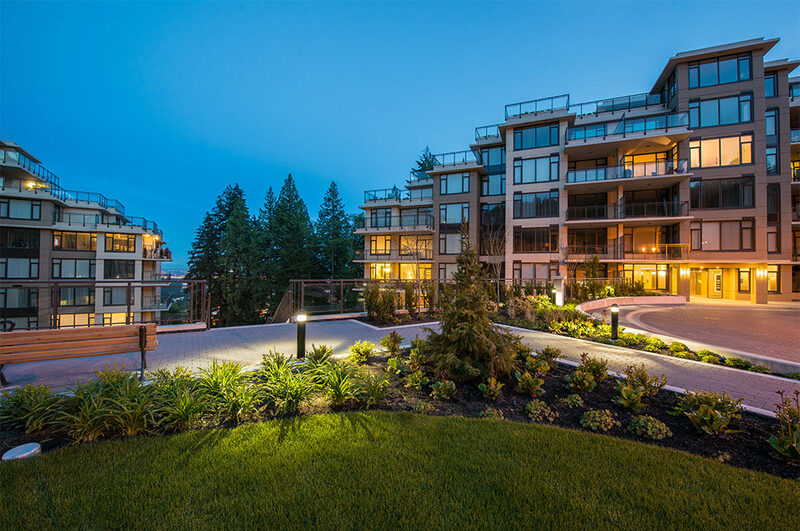 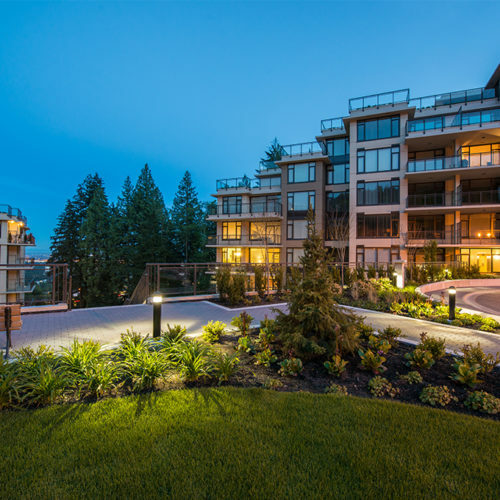 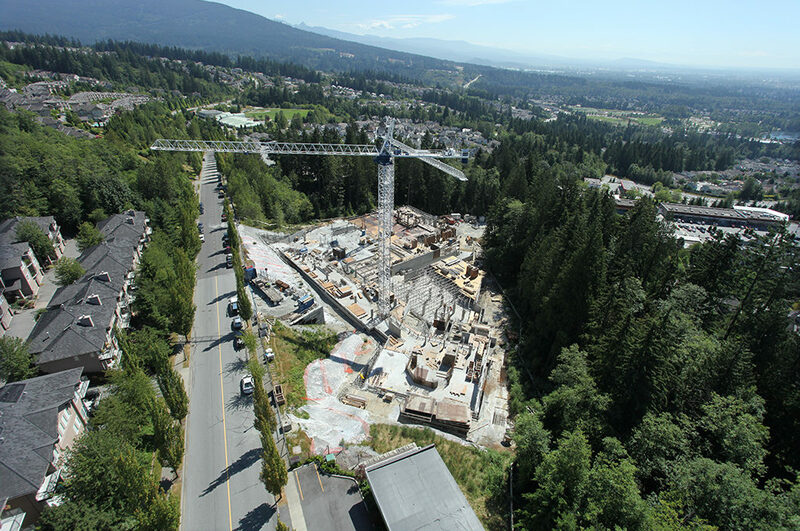 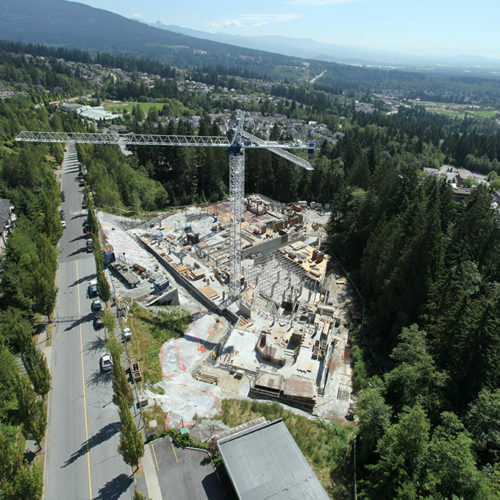 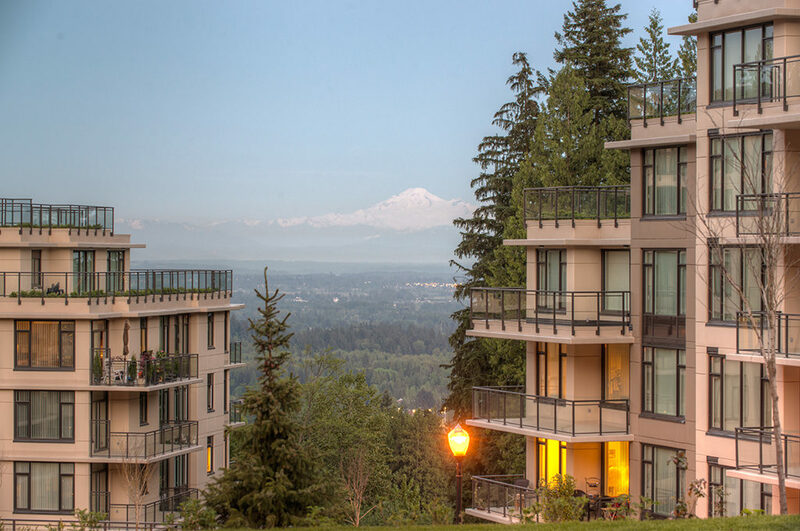 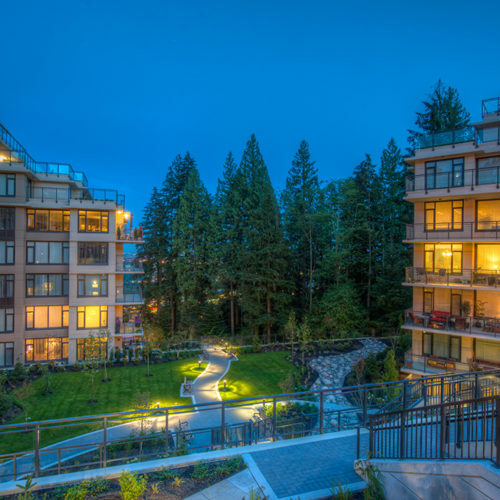 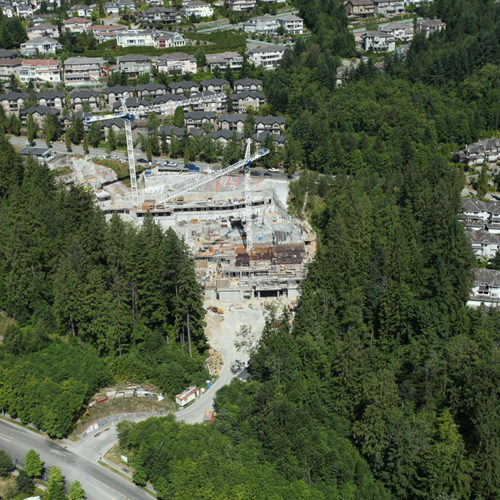 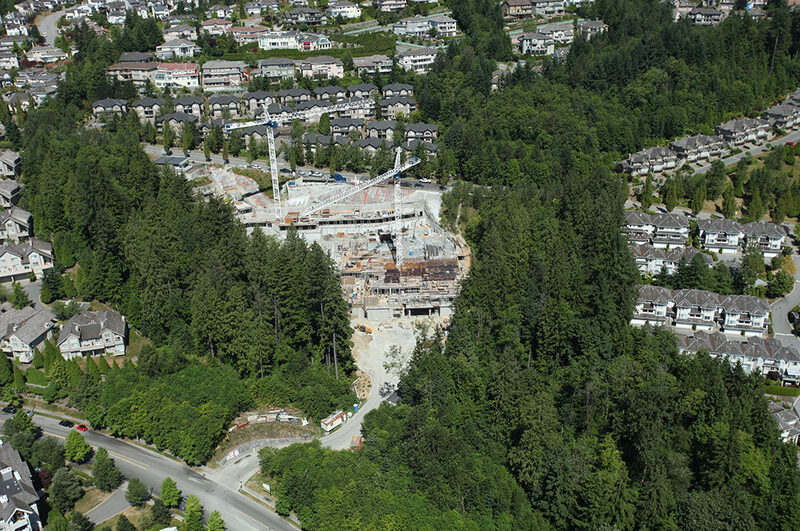 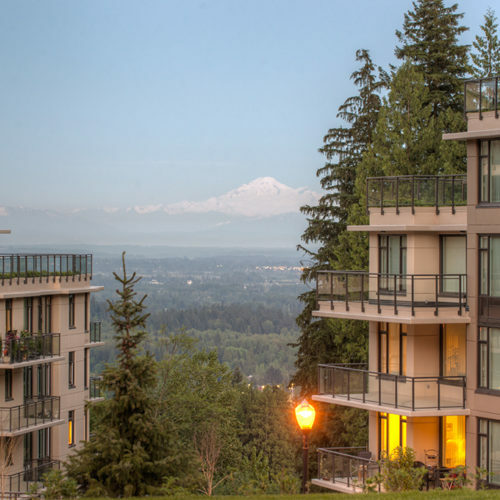 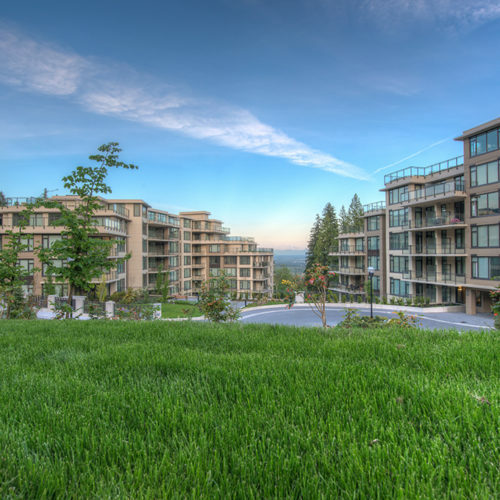 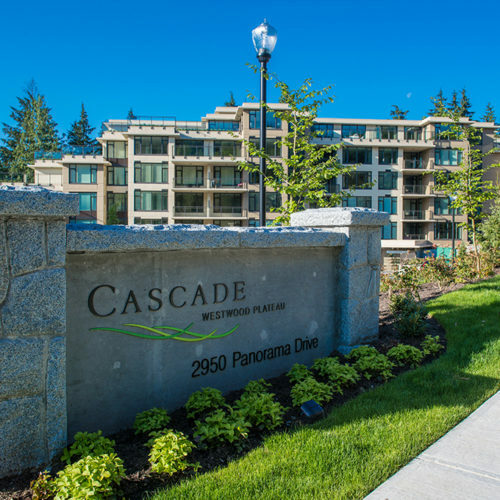 Nestled between towering evergreens high on Coquitlam’s Westwood Plateau, Cascade features 153 two‐bedroom apartments in two concrete towers rising 9 and 10 storeys respectively. 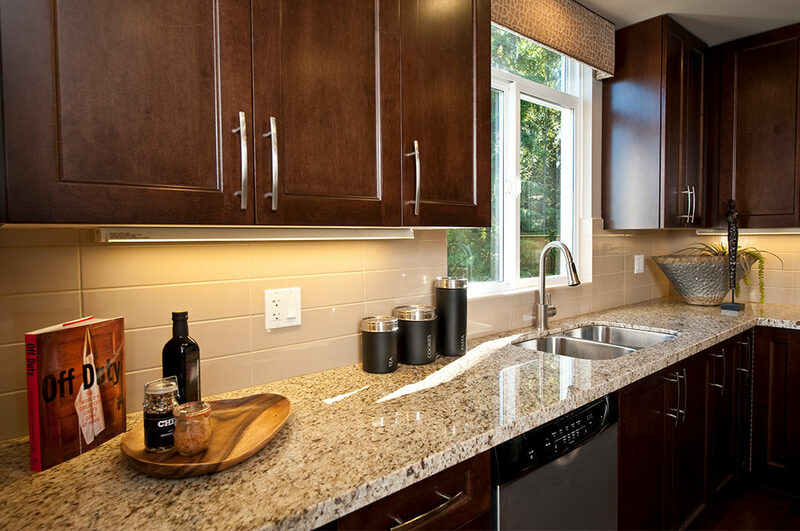 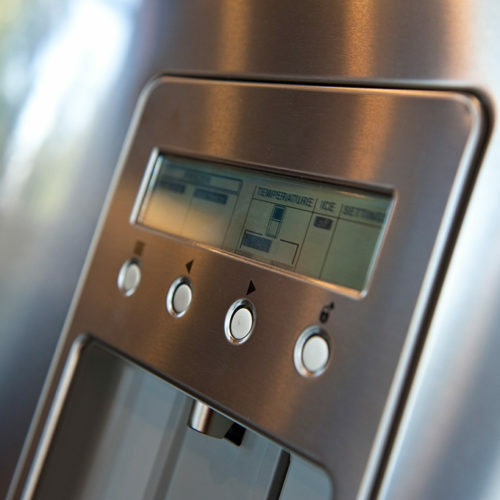 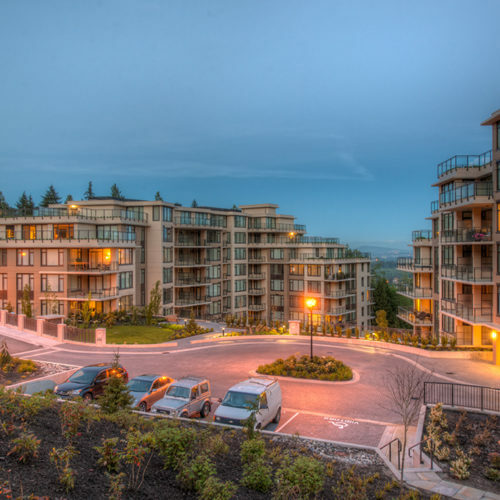 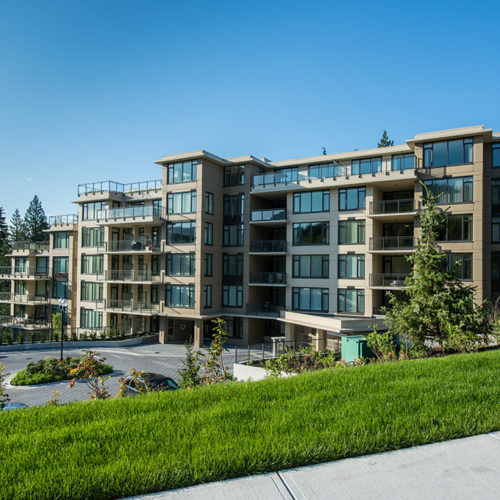 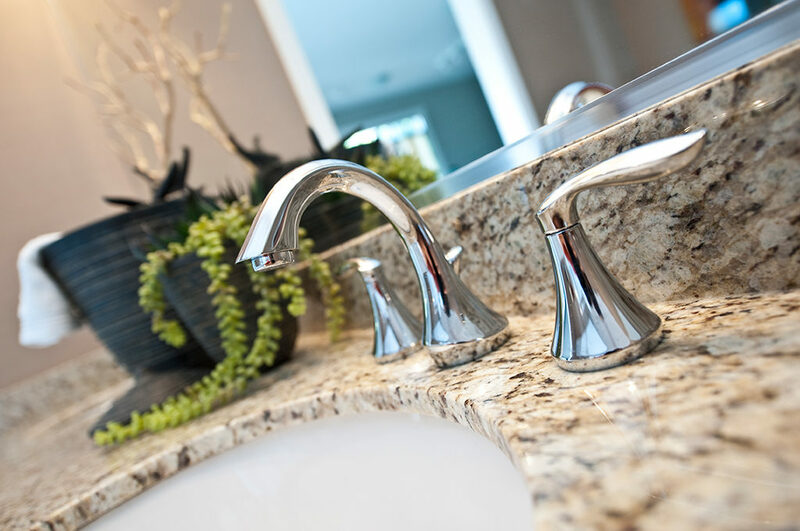 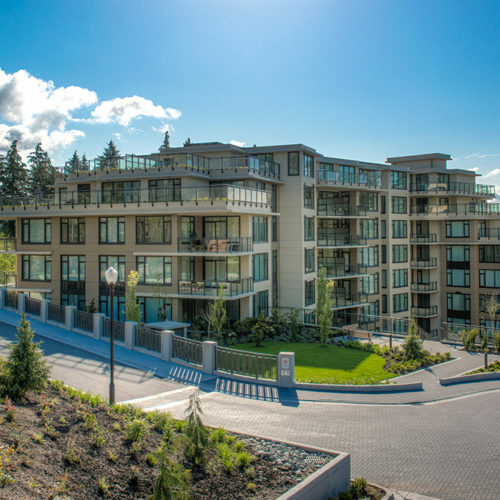 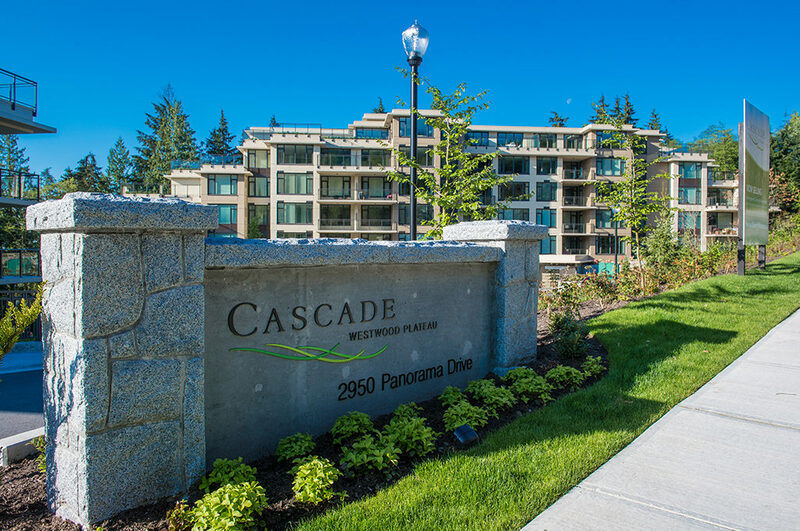 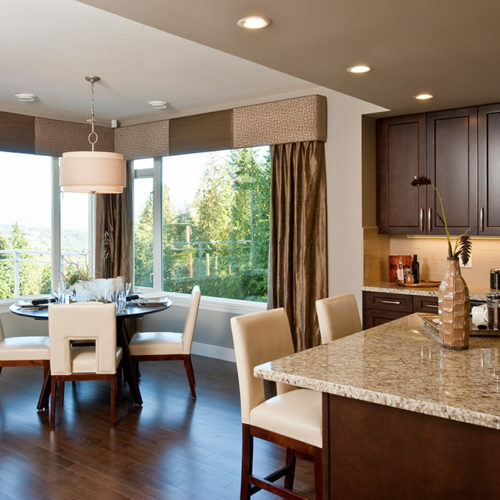 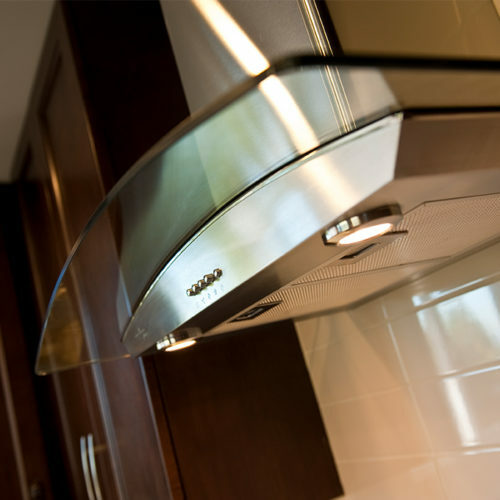 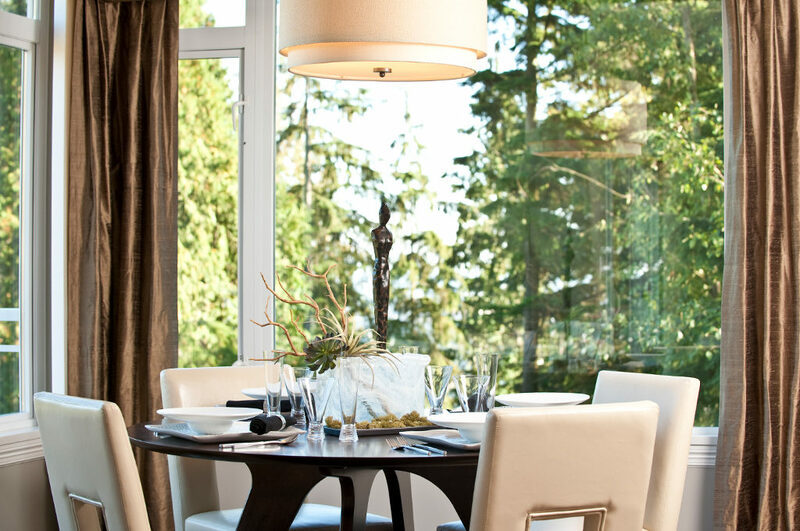 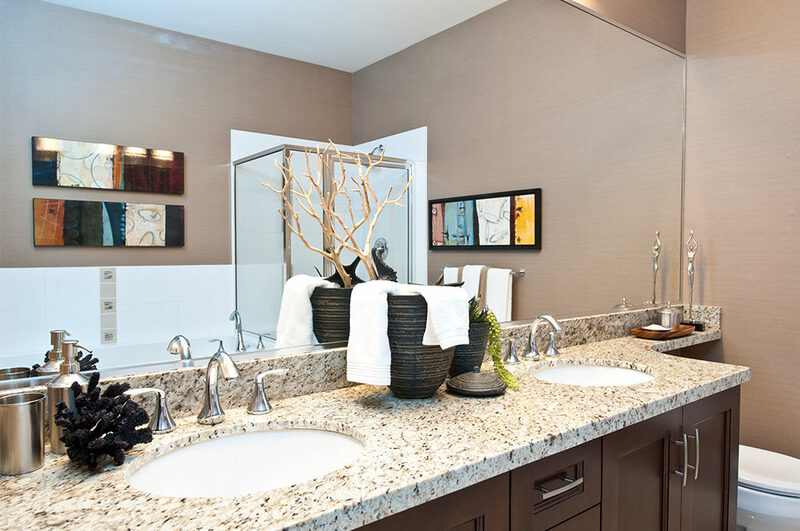 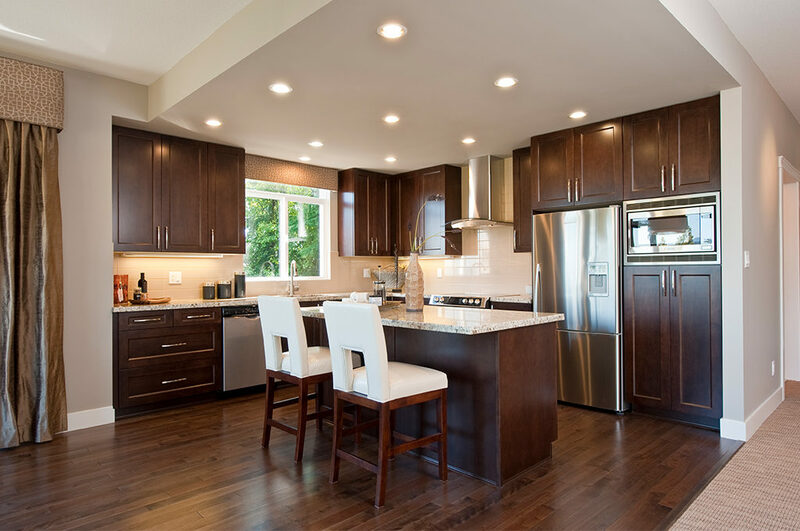 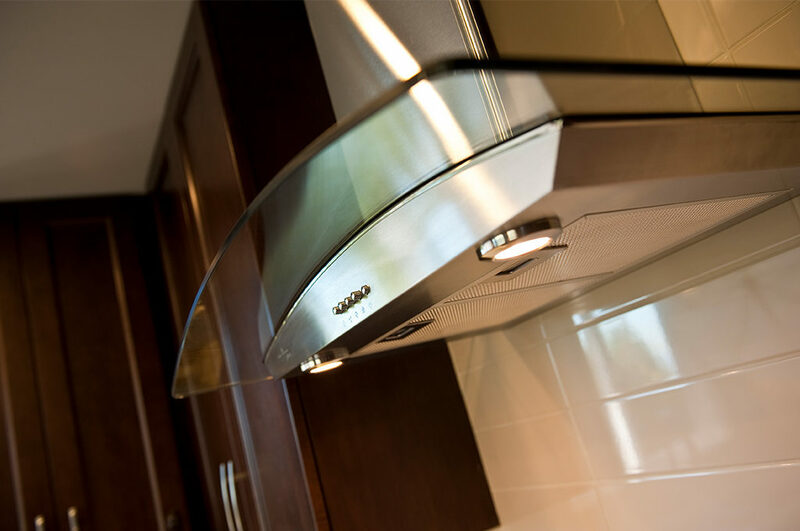 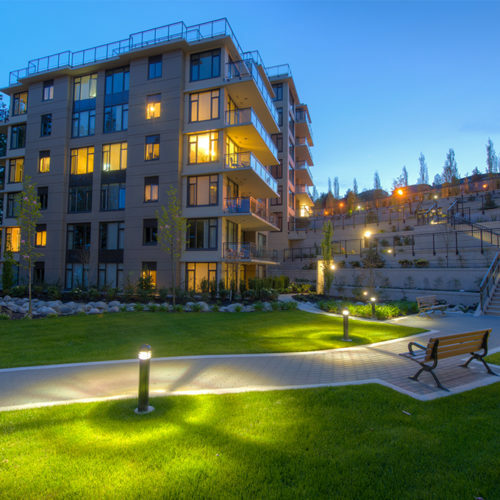 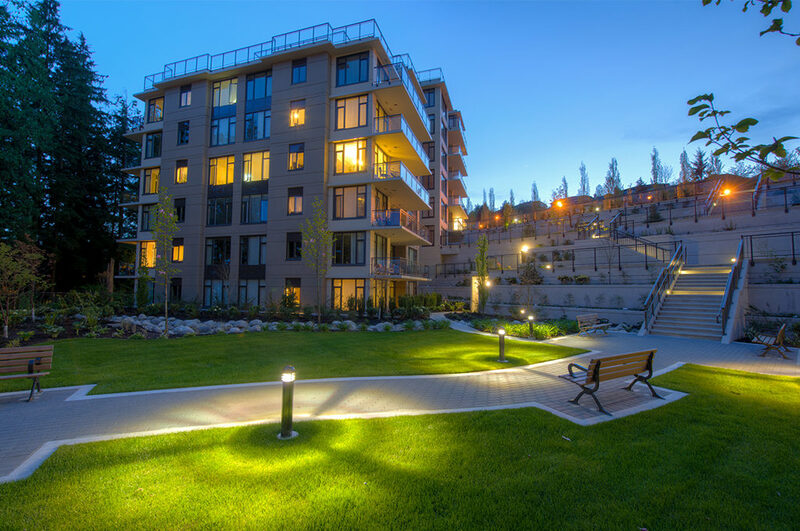 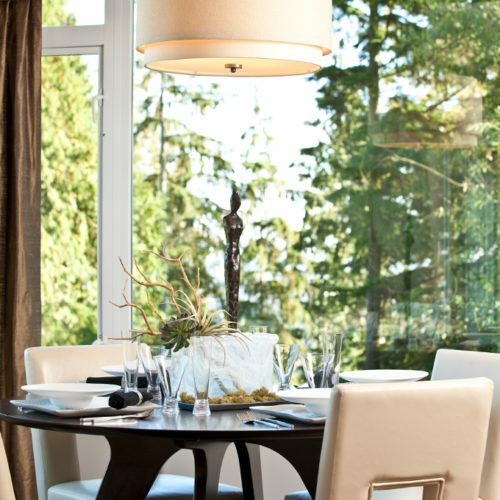 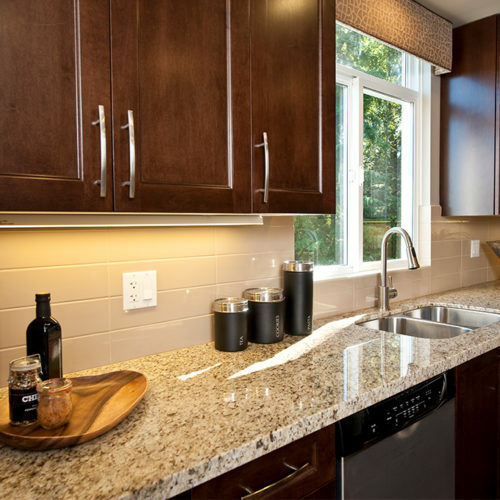 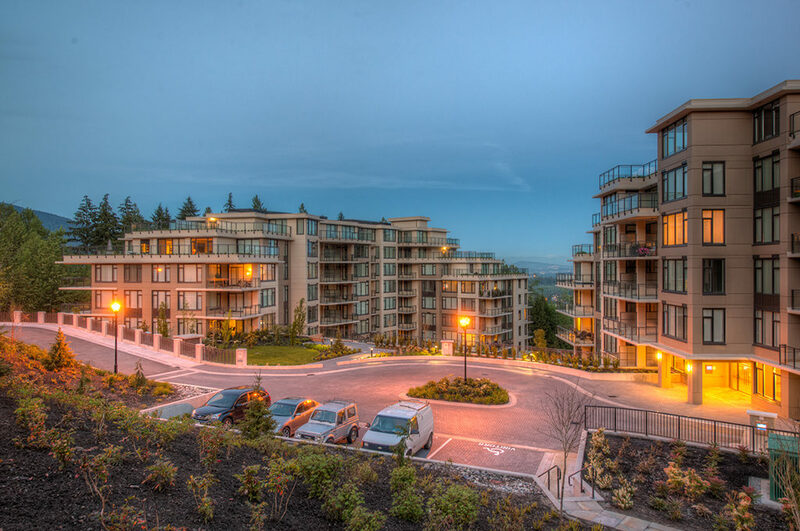 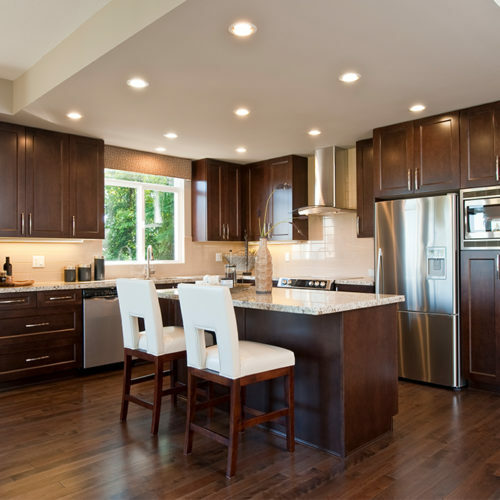 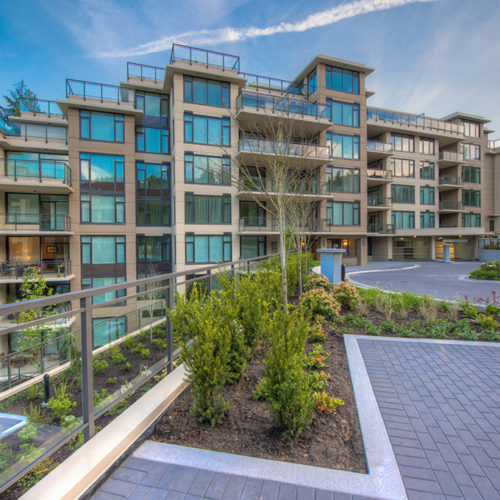 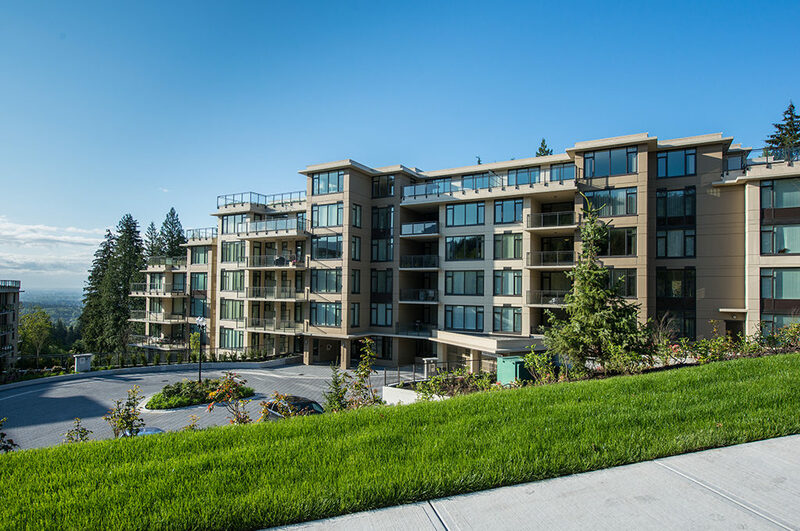 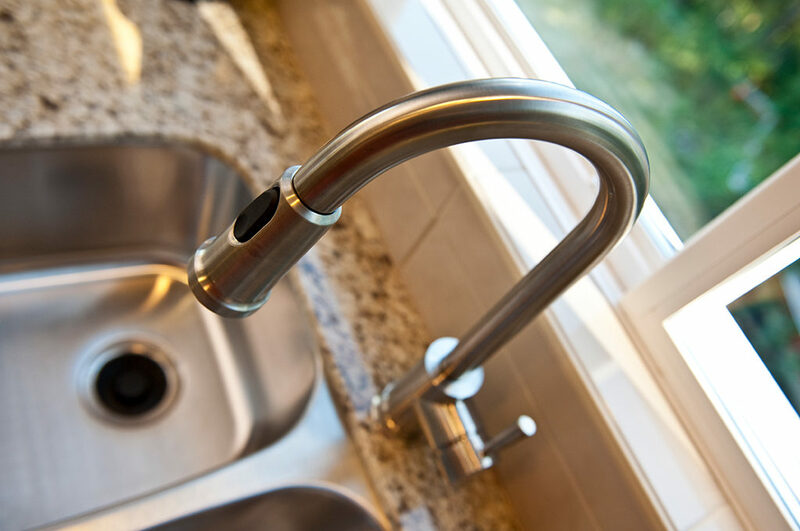 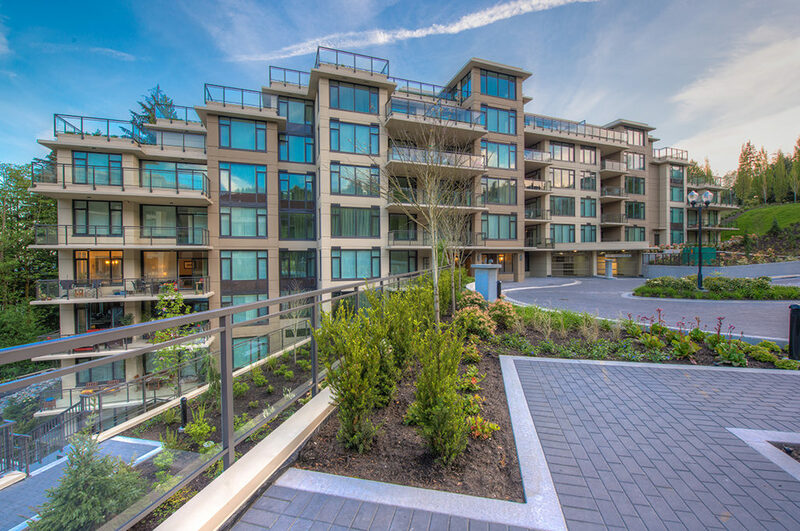 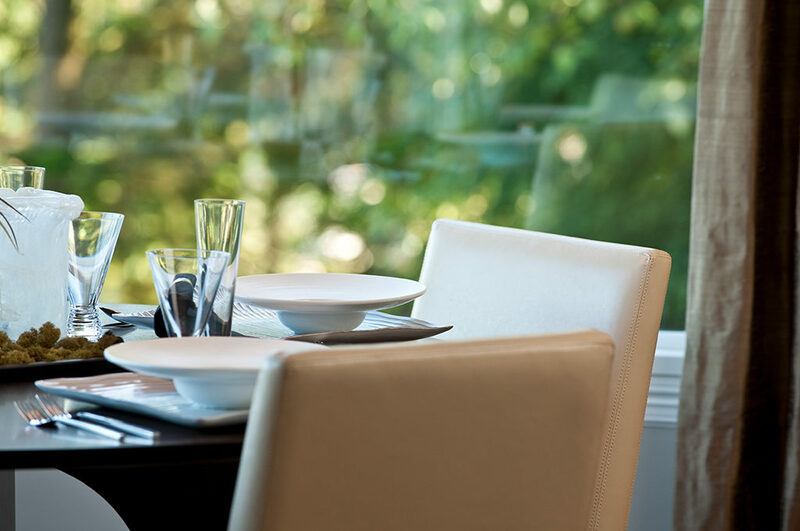 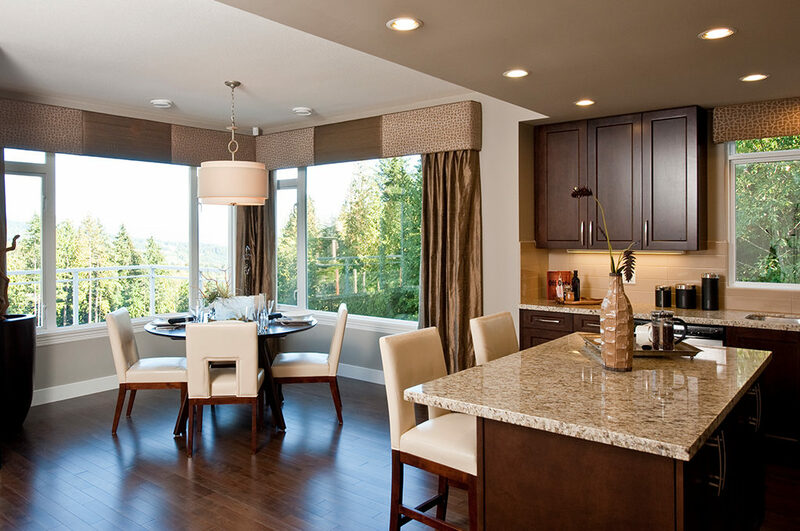 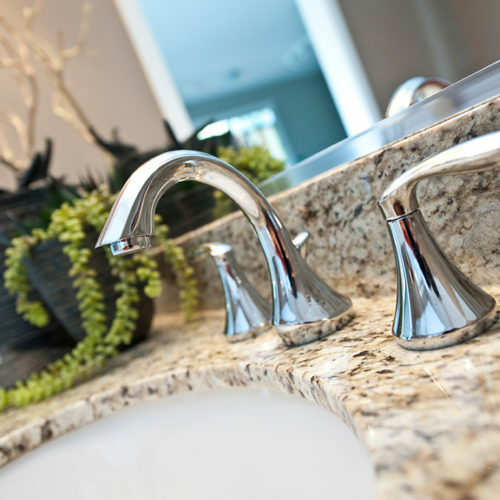 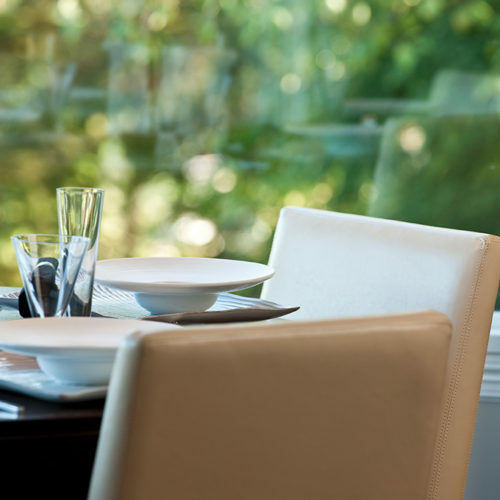 Cascade is a distinguished addition to Coquitlam’s premier neighbourhood. 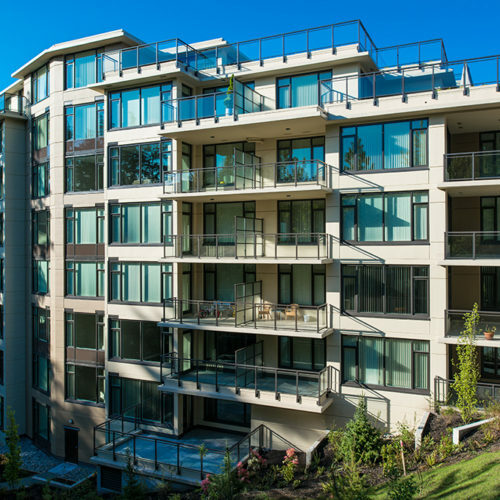 The concrete structures, unique on the Plateau, make a distinctive architectural statement. 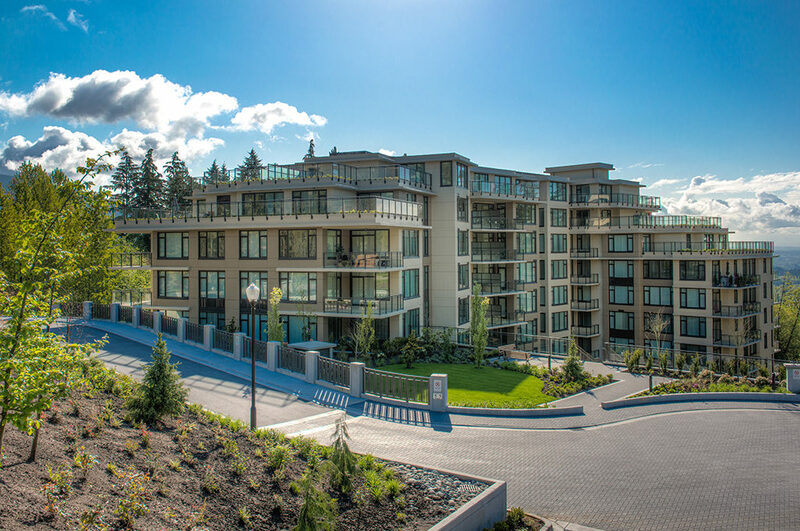 Articulating façades, tiered rooflines and large picture windows project sophisticated styling. 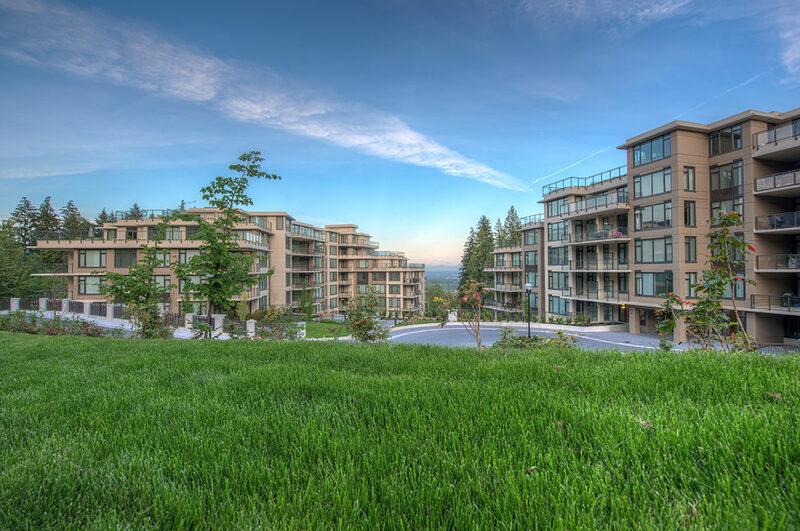 At the same time, a tasteful colour palette complements the deep shades of the surrounding greenbelts, unifying the development with its natural setting. 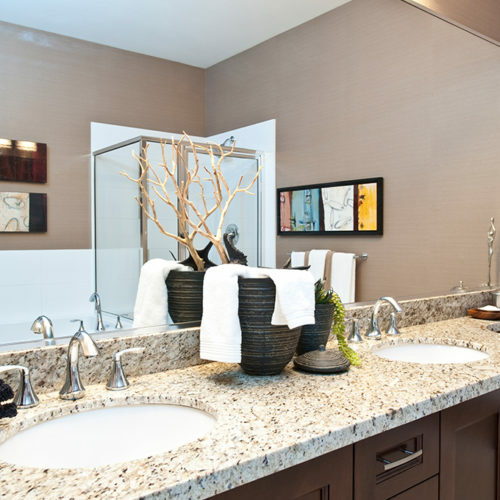 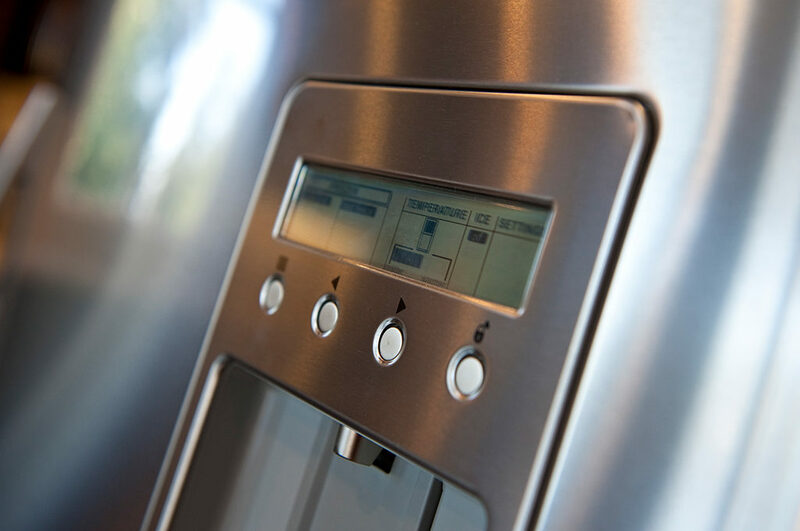 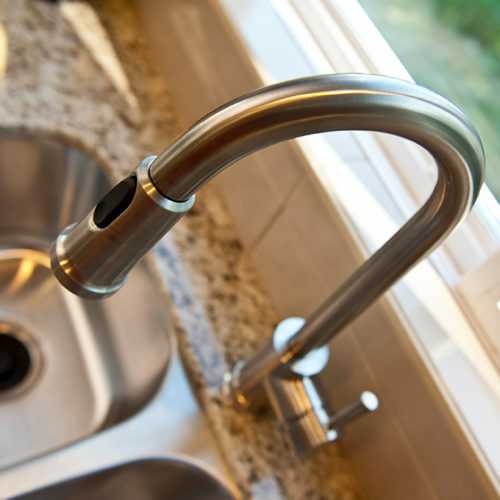 Underlying the eye‐catching design is an innovative site plan. 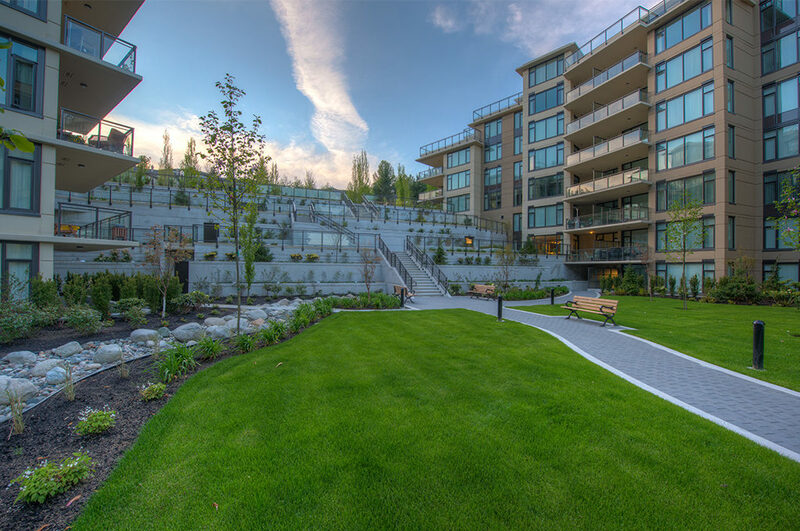 The sloped, tree‐lined property inspired two stepping forms separated by a terraced greenway. 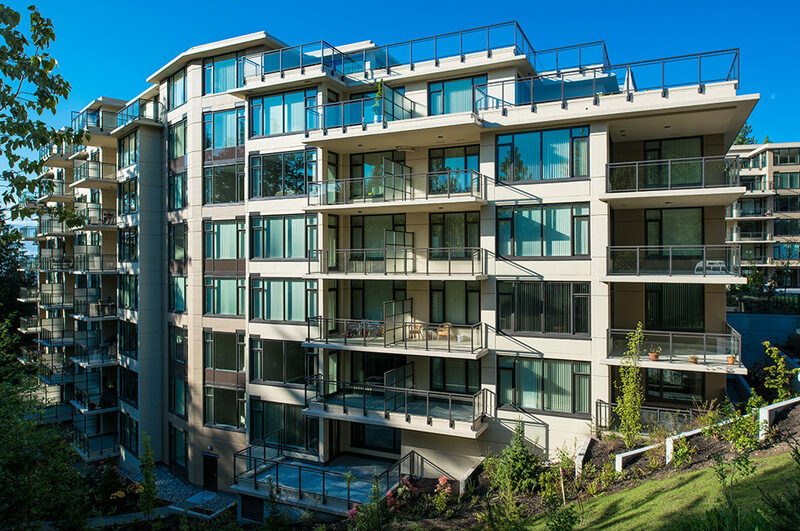 This thoughtful arrangement provides views between the structures while using the bordering ravines to maintain privacy from neighbours. 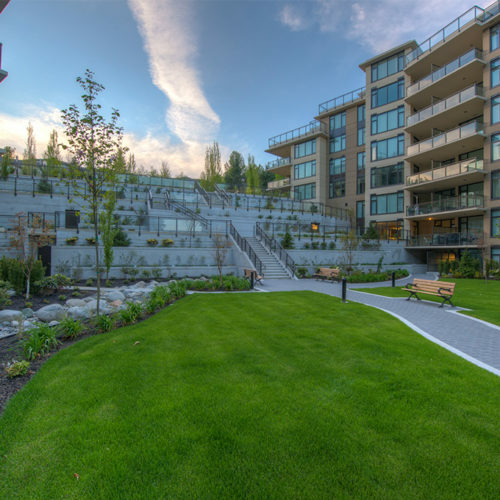 The cascading layout also concentrates density on a smaller footprint, leaving more space for landscaping and outdoor amenity areas.